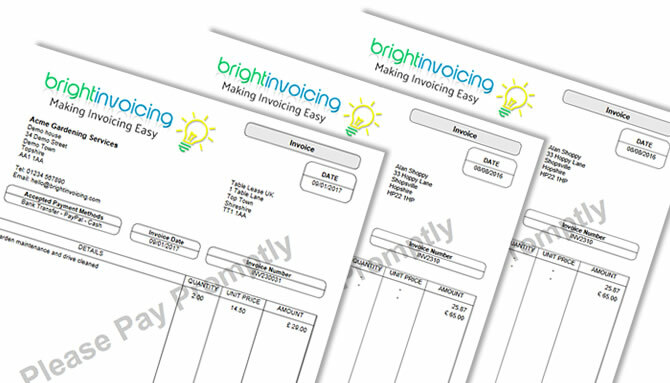 Home - Bright Invoicing. 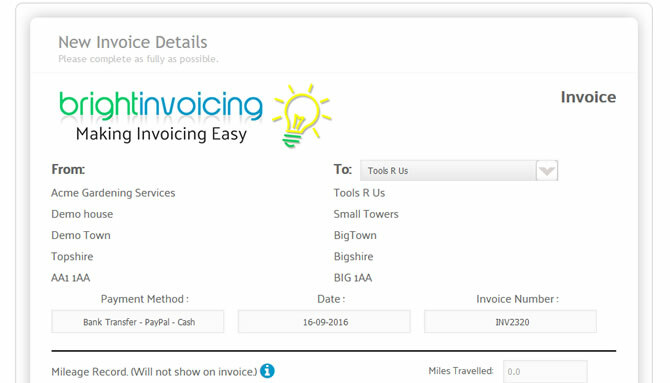 Online Invoicing made easy. For the self-employed & small business. 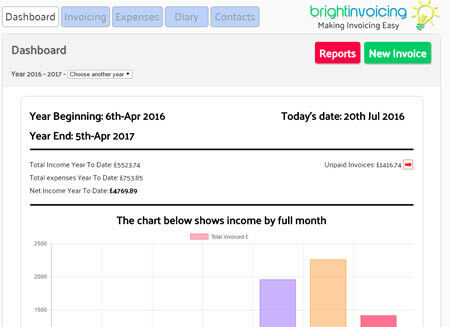 Simple to use Who likes spending time invoicing and book keeping? Keep it simple. 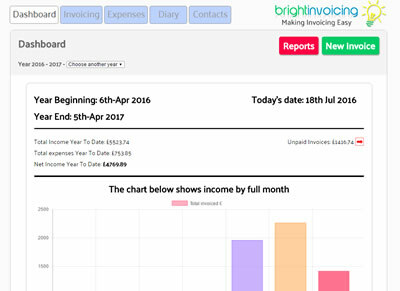 At a glance... See your position at a glance and track your income and outgoings. 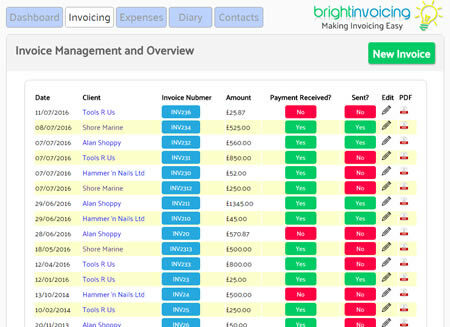 Contacts Organise your contacts and see a complete invoice and contact history. 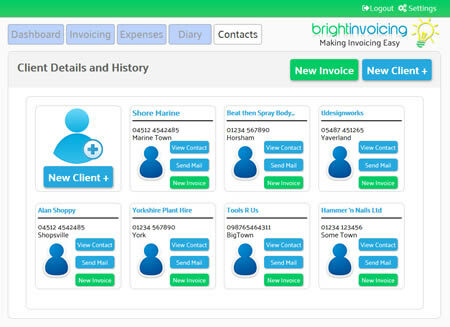 HMRC Friendly Take the pain out of your tax return and send all data quickly and easily. 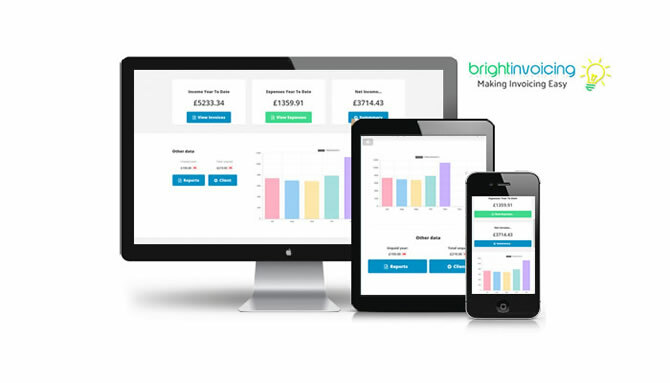 Developed with sole traders and small businesses in mind. Quick and easy to use. 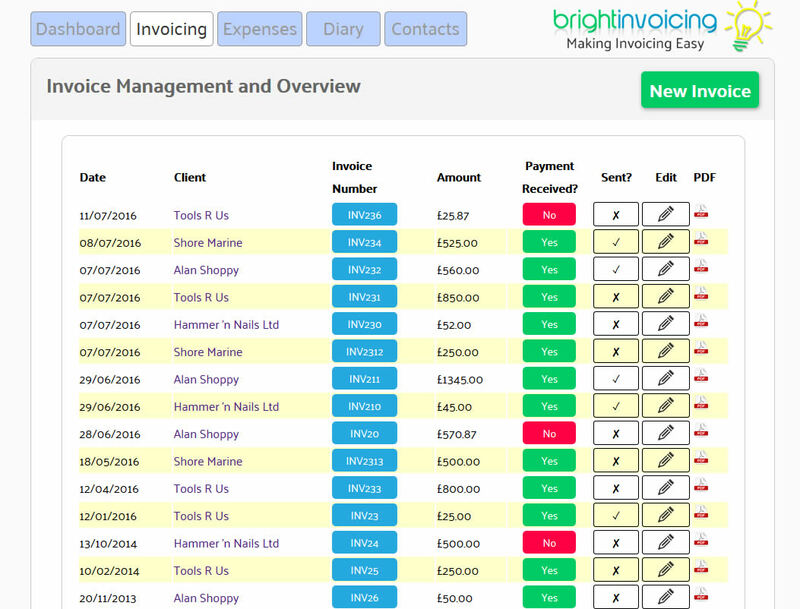 With a simple click, you can view the entire invoicing history of each of your customers and clients. 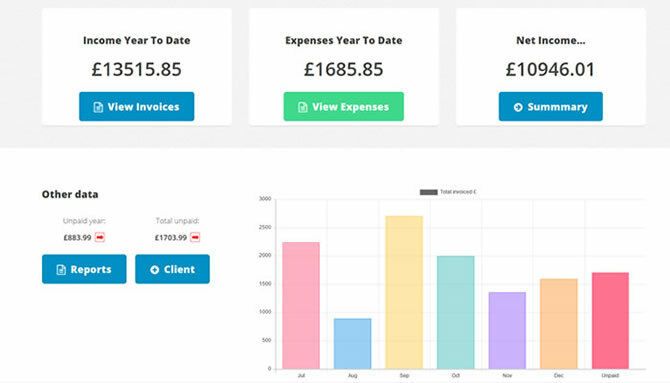 With all your expenses, overheads and income all in one place, your life will be easier when it comes to submitting your tax return.